There aren’t a lot of advantages to being the sole teaching assistant in a small computer science department, except that once in a while the professors are nice enough to unload a bunch of old tech on you for free. Maybe they’re cleaning out their offices for the first time in decades, and have a few Macintosh Classics that would otherwise end up in a dumpster. Sometimes the department gives them new tablets, and their old ones need a new home. Or else someone retires, and everything not absconded with for nostalgia’s sake becomes fair game for scavenging. Courtesy of the faculty’s generosity, I have a bunch of old computers, disk drives, motherboards — and virtually any other computer parts or accessories you can imagine — kicking around my apartment. Tinkering with dated machines can be a great deal of fun. You can practice soldering without having to worry about flushing a bunch of money down the drain if you accidentally brick your machine. When you pull them apart, you might find so-called “upgrades” from years past that seem genuinely laughable now, like the 32 KB “deluxe memory expansion” card I once yanked from a 1995 laptop. And let’s not forget the charm of obsolete archival media! Remember the Zip Disk? …No? Figures. Well. Even if you’re not a tech geek like me, you can at least appreciate the best part of my perks system: discovering ancient computer games that nobody else remembers, and actually having the wherewithal to play them. Cleaning out offices or browsing through forgotten hard drives, I’ve stumbled upon games that I’ve never seen archived anywhere on the Internet. Some of them even existed before my parents did. And I’ve been able to play every last one. You can’t pretend to know gaming until you’ve played something on a legitimately floppy floppy disk! Anyway, since I’m given first dibs on any abandoned tech, the department let me raid the office of some adjunct — whose name I never quite learned, not having interacted with him all that much — who must have followed through at last with his vows to quit his overworked and underpaid position. I didn’t blame him; I heard he made less than I did, and I don’t hold a degree nearly as advanced as his! Whatever the reason, Sussman — or was it Hausmann? I can’t remember — didn’t return for the spring semester, and didn’t leave us any way of reaching him. So, a couple of weeks into the semester, after the faculty felt reasonably sure he wasn’t coming back, they provided me with a key to his office, and granted me free reign to swipe whatever I wanted. I let myself in the second I had a free moment one night after classes, when my teaching assignment was taken care of for the day, and the rest of the department had long since headed home. 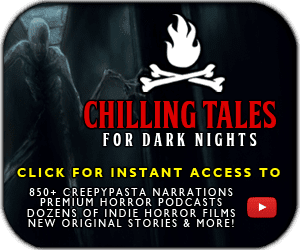 The building was dark by the time I arrived, but the motion-sensor lights fired up once I set foot inside, flickering into existence one by one as I made my way down the hallway. The adjunct’s office didn’t have a nameplate on it; I’m told few adjuncts even have offices, for that matter. Consequently, I found the correct room only after I’d tried — and failed — to open an unmarked broom closet with my new key. The adjunct’s office might as well have been a broom closet, though. It was barely larger than a bathroom stall. On top of that, it didn’t have any windows, and the only light came from a single, dingy incandescent bulb dangling from the ceiling. It didn’t have a lightswitch, either, so I had to fumble around in the darkness until I could find and tug its pull-cord. No wonder the poor guy quit — who could be expected to work well under such conditions? Once the dirty light washed over the place, I could see everything that Professor What’s-His-Name left behind. It looked pretty unremarkable to me, at first glance. He’d somehow coerced a desk into the cramped space, and found a chair to join it. Both of them wobbled at the slightest touch. A bulky cathode monitor occupied most of the desk’s surface, while a keyboard and mouse perched on what space was left in front of it. Shoved into a corner, a stack of coding textbooks had begun to gather a thin layer of dust. One sight struck me as pretty odd, though: a cup of coffee, still almost entirely full, had been set beside the chair and evidently forgotten. Nothing interested me right away, so I rifled through the desk’s drawers in search of something worth taking. Pens and pencils clattered inside, rolling off piles of coffee-stained lecture notes and small hoards of secondhand office supplies. In short, nothing worth the effort. Which came as no great surprise. I had expected that, if I were to find any prize here, it would be the desktop tower the adjunct had neglected to take with him. So that’s exactly what I went after. The monitor’s cord trailed behind the desk, leading me to a grimy but sturdy-looking Dell that still had a 3.5-inch floppy drive installed. I didn’t have a shortage of floppy drives or anything, but I decided to swipe the machine anyway. You can never have enough spare hardware, after all. Besides, I wanted to scope out what kinds of files the adjunct kept on that computer. Sometimes that’s where the real treasure lies. The hour had grown late by the time I returned home, but I couldn’t resist staying up a bit longer to peruse my new acquisition’s contents. I hooked the computer up to one of my flatscreen monitors, introduced a keyboard and mouse, plugged it into a power outlet, and went to the fridge to retrieve a high-caffeine soda while I waited for the machine to boot up. Once I came back, a green glow had saturated the screen, dousing my keyboard and desk in sickly colors. The usual boot dialogues for a late-80s OS appeared, written in green, low-pixel characters. That’s strange, I thought. Most early operating systems and programs only looked green because of the monitors they used. The visuals themselves, under ideal circumstances, were simply black and white. And my current monitor was pretty close to ideal. I figured it was probably a custom OS, coded to look green for nostalgia’s sake, like that word processor DarkRoom. I also found it strange that the adjunct hadn’t locked his computer with a password, but I was too excited by my new toy to think too much about it. Was it a game? If it was, I’d never heard of it, but then again, I was always unearthing titles I’d never heard of before in my office excavations. Maybe it was a personal project the adjunct had been developing. But whence that title? Programmers named things after themselves all the time, but this one seemed foreign to me — I couldn’t have told you the adjunct’s name, but I felt confident it wasn’t Toter. By that point, my curiosity couldn’t be restrained. I slid the disk into its drive, and ran the single executable file it contained. The mouse cursor turned into an hourglass as the computer processed my command. Then, for no more than a millisecond, it transformed into a completely different shape. I could have sworn it looked like a terribly distended face, but I didn’t catch a close enough glimpse, because shortly thereafter the screen went black. A second or two later, blocky green text, cleverly arranged ASCII-style to look as if it were dripping or melting, filled the screen. 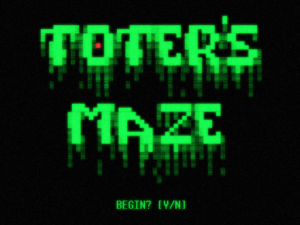 “TOTER’S MAZE” appeared in gigantic font, with a single red dot punctuating the center of the O, resembling a pupil caught in a camera flash. Beneath the title, a substantially smaller font presented me a binary command: “BEGIN? [Y/N].” Messing with the arrow keys, I found I could move the red dot around, but that it couldn’t maneuver beyond the letter that ringed it. I appreciated this simple diversion that the programmer had thought to include — it showed some consideration for the player. Wondering what the rest of the game entailed, I hit the Y key. What a bizarre feature, I thought. Usually you saved something like that for quit functions, so that a user doesn’t accidentally lose all their progress from a botched keystroke. The unexpected dialogue only made me more curious. I pressed Y. At that, the small letters erased themselves one by one, saving my Y for last. Then the large O disappeared. The red dot stayed for a moment before it, too, disappeared. I was left with another black screen. Soon some text seemed to float up from the blackness, like bubbles rising from a deep pond. “LEVEL ONE.” Then the text seemed to sink out of view. After it disappeared, a bunch of angular green lines drew themselves into existence, forming a kind of labyrinth that looked like a simplified view of an intestinal tract. It wasn’t much of a maze, though. There was only one route available — no branching paths, no dead ends. 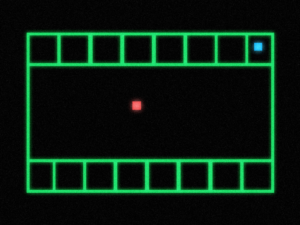 The red dot from the title screen waited at one end, and a blue dot of slightly smaller size resided at the other. I presumed that I controlled the red one, and I was right. I could navigate the red dot with the arrow keys. It moved at a much brisker pace than I had expected. If I drove it into one of the green lines, it stopped moving. The game imposed no penalty if I did. I supposed there was no objective other than to reach the blue dot, so I started guiding the red dot toward it. When the two dots finally touched, the blue one simply faded away. The rest of the level followed suit, and the red dot disappeared last. Text reading “LEVEL TWO” emerged from the blackness as if rising from liquid, exactly like what I’d seen for the previous level. It seemed anticlimactic to me, but then, nobody plays games like this for cutscenes and stories. I figured the difficulty would amp up, at least, and perhaps make for a more entertaining experience. The second level proved no more challenging. It drew a square that took up half the screen. The red and blue dots both appeared inside, on opposite corners. There were no obstacles. By no stretch of the imagination could it be called a maze. It seemed Toter had used up all of his or her imagination on the title screen! Needless to say, the level didn’t take me long. Curiously, the “victory animation” was a little different this time. Instead of fading outright when I touched it, the blue dot disappeared line by line, each successive section seemingly absorbed into the red dot as it vanished. It seemed weirdly fluid compared to everything else in the level. The next few stages began as usual, and had designs equally as insipid as the first two. A basic, featureless rectangle. A longer rectangle, bland as the first. A straight line, barely wider than the red dot I controlled, leaving me no option but to move in one direction toward the blue dot. All that changed was the animation at the end. Sometimes the blue dot seemed to dissolve. Others, it cleaved in two before disappearing. In one particularly arresting instance, the top quarter of the blue dot seemed to be lopped off, landing beside the dot’s remains, then vanishing like the rest of the stage. Before long, I’d arrived at “LEVEL TEN.” That’s when things became genuinely disconcerting. See, the tenth level was nothing like the others. It was rectangular, with a bunch of smaller rectangles inscribed within, lining the top and bottom while the center remained empty. The blue dot was somewhere near the dead center of the map. My red dot began in a corner. I started directing it toward its usual target, but then the blue dot did something unexpected. That’s not even the right word. It ran. As my dot drew closer, it inched over by a pixel, as if it had heard something and turned to check out the noise. When the red dot was only a few pixels away, the blue dot took off at incredible speed. It hurled itself against one of the small rectangles until its wall seemed to yield. Then the blue dot moved inside, cramped by the tight quarters, and the wall reappeared. What the heck had I witnessed? And how was I supposed to clear the level now? My only idea was to try ramming into the small rectangle’s side like the blue dot had done. As I did, I swear that the blue dot quivered. Eventually the wall collapsed, and the dots touched — resulting the blue one splitting into many tiny pieces that coated the inner walls of the small rectangle. They didn’t fade away like the rest. The red dot disappeared first, and the level and the remnants of the blue dot lingered there for a while, burning the image into my retinas before cutting all at once to blackness. Somehow, I felt as if I’d done something awful. This one featured comparatively sophisticated cartography: rectangles within rectangles, and liberal use of walls, although it still didn’t look much like a maze. The path to the blue dot was pretty obvious, and most of the space in the level seemed entirely superfluous. As I moved the red dot along, however, something about the stage began to make me feel uncomfortable. Insane though it sounds to say this about a bunch of green wires, it struck me as dimly familiar. I felt as though I had been there before. I blamed the feeling on the late hour, suspecting that a lack of sleep had started to toy with my senses. When I reached the blue dot, its shape didn’t change. The color drained from it, top to bottom, until — I don’t know why these were the first words to enter my mind — a gray husk remained. I told myself I sounded crazy, but I couldn’t reason away the dread I had begun to feel. It weighed upon my chest, constricting my lungs, adding to my panic with each breath. Somewhere in my fight for air, I realized why the the eleventh level seemed so familiar: it looked uncannily like the floor plan to my stepfather’s house. How many levels were left in this bizarre game? Even one was too many. I didn’t want to play any longer. I pressed every key on the keyboard, but none of them — nor any combination of them I could think to try — let me exit the program. I tried to force the computer to shut down by holding its power button, but even after two consecutive minutes of pinning it, the screen still showed that hateful game. All the same, I couldn’t bring myself to pull the plug on the machine. I somehow believed everything would stay on even if I did yank the tower’s plug from its socket, and I doubted I would react well to the sight. As if reading my mind, the level finally began to change. Instead of the entire thing fading to black, however, the red dot grew in size, expanding until the whole screen shone red. If migraines can be said to have a color, that red would be it. It seared my eyes, and when I held them shut to guard against the scorching pain, the imprint of a horribly distended face glowed against my eyelids. Reflexively, my glance darted from it, but the thing reappeared wherever my eyes settled. Unlike most residual images that soften and fade over time, this one seemed to grow more detailed by the second. Its skull was deformed, stretched into an oblong shape like pulled putty. Its jaw seemed detached, one side hanging much lower than the other. Where its eyes should have been, I saw only empty sockets that nonetheless seemed to watch me with malevolence. There was no way for me to avert my gaze from its frightening, hollow stare except to open my eyes again. Once I did, the screen had at last turned black. I felt far more afraid of not finishing than finishing. I recognized this level, too. It clearly matched the floor plan of the computer science department, being almost an exact replica of the fire escape diagrams I’d seen posted on the walls there. The level’s blue dot ambled about the stage, pausing at certain points while swaying back and forth over them. The red dot lingered in a small room that corresponded to the location of the adjunct’s office. It’s only a game, I chanted to myself like a mantra. It’s only a game. My ritual almost restored my calm until my cell phone buzzed, stridently vibrating atop my desk. I yelped at the sound — I couldn’t help it. A text message had arrived. I felt reluctant to pick it up, expecting some correspondence worthy of The Ring. But it was only something from my mother. Even so, that put me on edge. She was far from a night owl, so for her to need to contact me at such a late hour did not bode well. My stomach had knotted so tightly that I nearly vomited. I felt responsible. I almost certainly was responsible. What the hell kind of game was I playing? Who would make a game like this? And why? I couldn’t finish the thought before I ended up disgorging my soda onto the floor. I slumped forward, the sting of stomach acid hot in my throat. As I pulled myself upright, I glimpsed the slow, deliberate movements of the blue dot on the screen. Based on its patterns, it probably indicated a member of the custodial staff. The poor fool had no idea what horrible fate awaited. For that matter, neither did I. I could only imagine — but didn’t much want to imagine — what the red dot signified; my creative powers couldn’t begin to fathom what it would do to its next victim. It was too much. I couldn’t knowingly kill somebody. I would never forgive myself for the deaths I had accidentally caused, but I didn’t have to allow any more to happen. I was better than that. I would not be an accomplice to murder. I pushed my keyboard aside, and stared at the screen with defiance as I pondered what to do next. The game, however, thought farther ahead than I had. Within moments, a timer appeared in the corner of the screen. I barely registered that it showed 30 seconds before it rapidly began counting down. What would happen if the timer hit zero? Twenty seconds. Then fifteen. I felt my resolve crumbling. If the game had proven this horrible when I did what it wanted, what kind of retribution would it visit on me if I went against its will? I had to make my decision. The decision came quickly, more instinct than conscious choice. I pounded the arrow keys. The red dot flew at unfathomable speed. The blue dot had no time to react. As soon as the red touched it, it collapsed in a pile, scattering like a handful of dust. The stage turned to water and fell from my eyes. The text gradually disappeared. The level’s blue and red dots appeared first: one of each, with almost no distance separating them. I began to heave a sigh of relief. Until I saw the map. It was my apartment, rendered in harsh green pixels. I whirled around in my seat. I couldn’t see anything in the darkness, for my eyes had adapted to the brightness of my monitor. I thought I detected a faint red glow on the walls around me, even though the only light source in the room was emitting green. I felt my body begin to lock up, starting with my legs. The tension worked its way up my body until it settled in my jaw. My mandibular muscles clenched so tightly that I thought I’d drive my teeth into my skull. But I couldn’t help it. I’d never known fear so intense. There were no sounds but the pulse in my ears, no movement around me but the flicker of shadows in the burgeoning red light. I wheeled myself back to the computer screen. 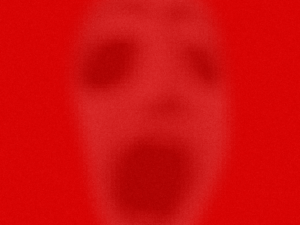 It was completely awash in blinding, migraine red. I clenched shut my eyes. Deep in my own darkness, I spotted a flicker of red. It drew closer and closer. I didn’t even need to see it to know what it was. That face — that thing I had unleashed — had returned. It came so near that I thought I could feel it breathing on my face. I opened my eyes. 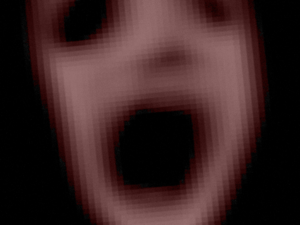 The face had overtaken the screen. It glowered at me for a moment. Then its maw widened, revealing a dark, cavernous hole. It swallowed every pixel, plunging my room into blackness. And something hard as bone, warm, and sharp cut a deep gash across my throat.